Belgian Blond ale is a bit of a conundrum. 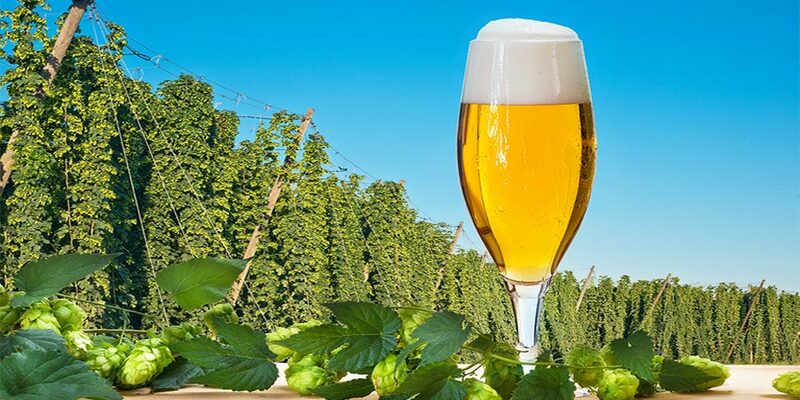 It has a relatively short history and shares the same impetus of origin as Belgian Tripel, Belgian Golden Strong, and even the modern iteration of the Belgian pale ale. To make things even more confusing it is, on the whole, quite a feat of the senses — often possibly imagined? — to tell a Blond from a Tripel from a Golden Strong. These styles are all less than 100 years old, though their creation is based in one of the richest and most diverse brewing traditions in the world. The Belgian brewing tradition finds its roots somewhere in the Middle Ages when beer was a thing of sustenance, made in the home. Ever aware of tradition and somewhat circumspect of encroaching modernity Belgian brewers nursed a distinct and unparalleled brewing culture down through the centuries. When lager swept through much of Europe like a firestorm at the turn of the 18th century, Belgian brewers had to get creative if they were going to compete and stay in business. Sticking to their roots the brewers used the same winsome and distinctly Belgian ale yeasts, but changed the grain bill to include the paler pilsner malt; thus creating a new style of beer. A broadly defined and loosely categorized style: a golden ale. It was an ale with room to move. Golden Strong, Blond, and Tripel, were all some variation on this general theme. 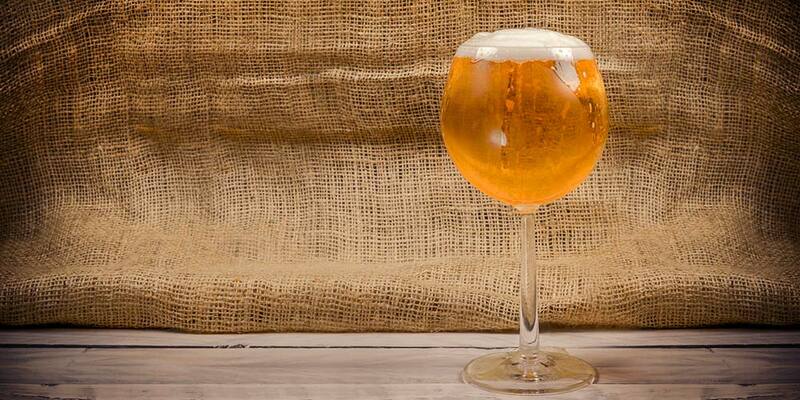 Each brewed to appeal to a populous grown starry-eyed with the novelty of the juggernaut called Pilsner. No doubt it is this common thread which makes these styles so hard to distinguish from one another. It is uncertain whether the Blond evolved from the Golden Strong or the Golden Strong from the Blond. The two styles are so similar. The one really defining characteristic between them being the somewhat arbitrary measurement of alcohol content; Blond stops were Golden Strong, and Tripel for that matter, begin. The Belgian blonde also tends to be slightly sweeter and lack some of the rich complexity of both Golden Strong and Tripel. Appearance: Pale to deep gold with superb clarity; Tall & creamy white head with good retention. 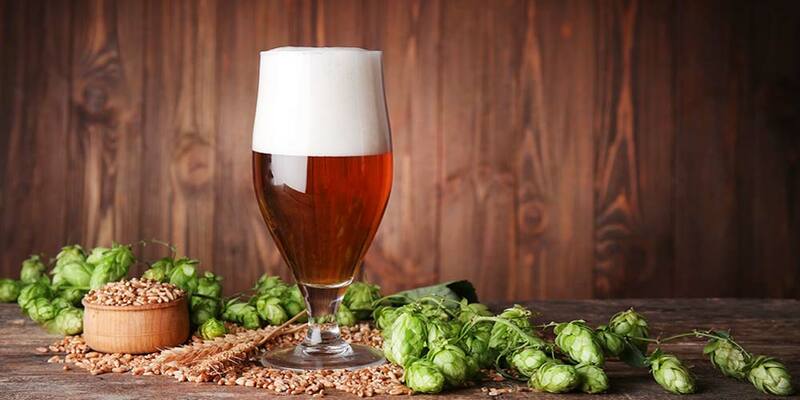 Aroma: Subtle aromas of sweet grain and earthy hops; Citrusy esters and spicy phenols possible. Flavor: Smooth. Malty sweetness will be balanced with hops & alcohol; Mellow notes of yeast with fruity esters; Dry finish; Warming aftertaste possible. Mouthfeel: High carbonation; Creamy & smooth with medium body; Light alcohol warmth possible. The guidelines for the Belgian Blond Ale style are set by the Beer Judge Certification Program (BJCP) Style Committee. 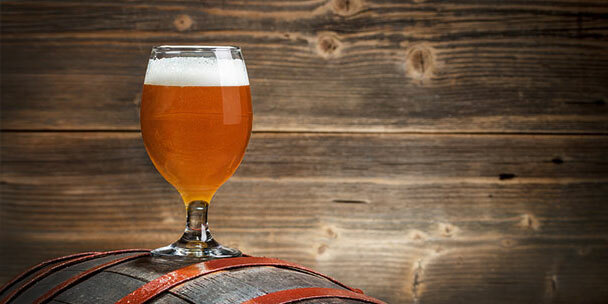 The below details are a summary of what a Belgian Blond Ale should represent. The BJCP classifies the Belgian Blond beer style as an “Strong Belgian Beer” and it can be found in their guidelines as category 25A. 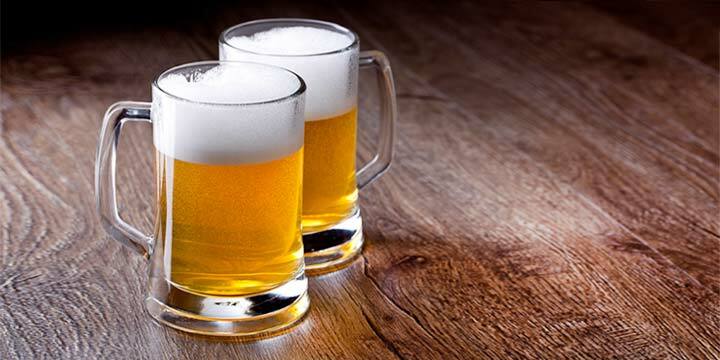 Other beer styles in this category include: Saison (25B) and Belgian Golden Strong Ale (25C). A pale to deep gold colored beer, usually exhibiting superb clarity. 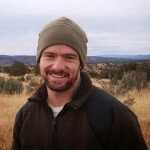 A white to off-white, tall, and densely creamy head should form; displaying decent head retention and lacing. Aroma should be subtle yet nuanced. It should have a sweet grain character from the malts. Hops are light and should have qualities of earthy spice. May exhibit a slight sugar-sweet quality. Yeast character can be quite complex and include fruity esters — often orange or lemon-like, — spicy phenols, and alcoholic signatures that are honey or perfume-like. May be somewhat creamy and smooth, medium body, with light to medium alcohol warmth. Moderately high to high carbonation can make for a zippy, prickly ride across the palate. Smooth rounded flavor. Moderate grain sweetness balanced by medium bitterness from a combination of alcohol and hops. Possible notes of soft caramelization or honeyed sweetness. Hop flavors should come through lightly with qualities of earth and spice. Yeast character is mellow but subtle with a combination of fruity, sometimes perfume-like esters, and alcohols. Often perceived as orange-like or lemony. Some light phenolic spiciness is an option. Finish should be moderately dry to dry. Some warming alcohol character should be noticeable in the aftertaste. A Belgian Blond is subtle, light, and often dry it works fantastically well with just about any sort of fish you can think of. Its subtleties match lighter fish dishes splendidly while its high carbonation helps to cut through the fat and oil often found in heartier fish dishes. Other subtle flavors such as pasta, chicken, or seafood also find a friend here. If pasta isn’t pasta for you without a hardy tomato sauce or pesto bring it on. This styles high carbonation scrubs the palate and goes well with most hot cuisine, be it Mexican, Indian, or Asian. Cheeses such as brie, nutty gouda, or aged jack work nicely with this beer. Desserts should be kept light though there might be something to be said desserts with some heat to them such as hot ginger cookies or spiced vanilla ice cream. 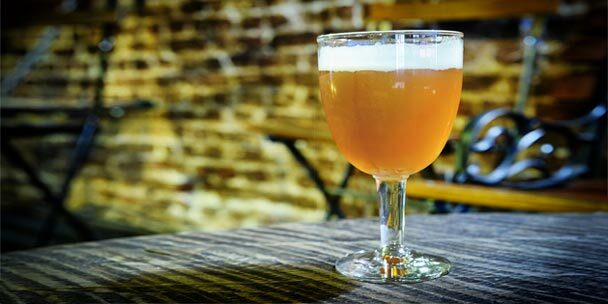 For best presentation and greatest appreciation, a Belgian Blond should be served at around 48-50°F in a tulip glass. They are best stored at cellar temperatures away from light and can age for 9 months or more. World Beer Cup Winner, Gold, 2016. Available: Year Round. World Beer Cup Winner, Bronze, 2016. Available: Rotating. Great American Beer Festival Winner, Gold, 2014; and World Beer Cup Winner, Bronze, 2014. Available: Year Round. Great American Beer Festival Winner, Silver, 2014. Available: Rotating. 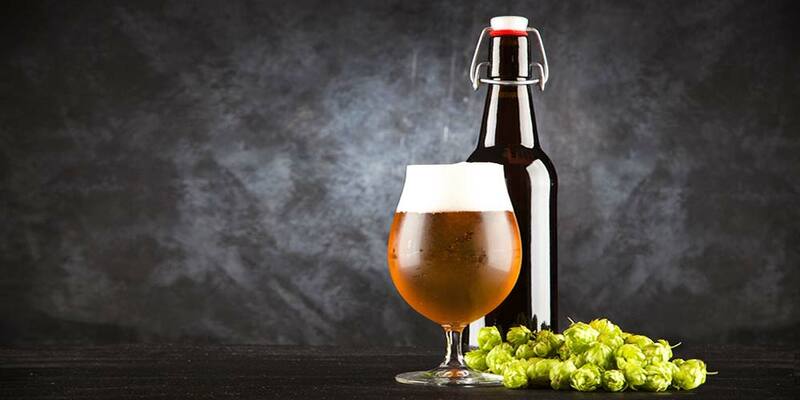 If you’re thinking of trying your hand at brewing a Belgian Blond recipe, here’s a few tips to help you throughout the brewing process. The bulk of your grain bill is going to be a high-quality pilsner malt. Go continental at the very least and a Belgian pilsner malt would be ideal. This should make up at least 60% of your grain bill and can go as high as about 95 percent. The other ingredient most often used while brewing this style is some sort of light adjunct sugar, such as cane or beet sugar, even honey would work well. Can makeup anywhere from 5 to 30 percent. Specialty malts and other adjunct grains should be quite restrained if used at all. Avoid those with high caramel character, such as crystal and cara malts. Also avoid any roasty darker malts. These will not only add too much color to the beer, but flavors derived from such malts are not appropriate to the style. 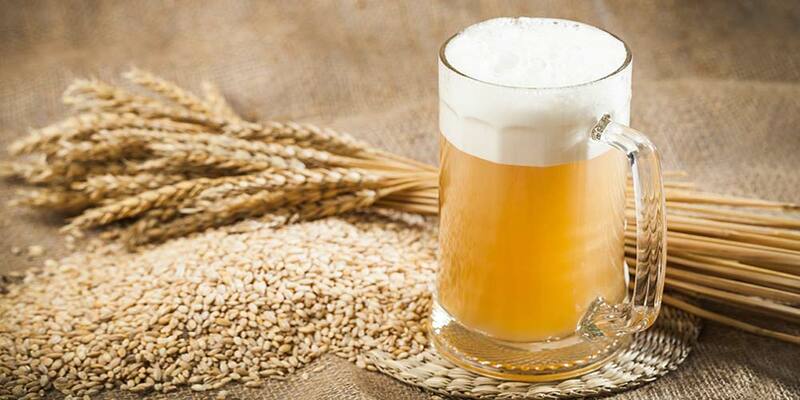 Instead try to use specialty malts that will enhance the bready/grainy character of the pilsner malt. Vienna, aromatic, light Munich, Belgian biscuit, Carapils, and light colored Aroma malts can work. You may also add flaked rye or rye malt for some added spiciness and other flaked adjunct grains, like barley or wheat, to add smoothness to the body and help with head retention. It’s easy to overdue these additional grains if you’re not careful. I’d stick to one addition, two at the most, and keep the total below 10 percent. If you are an extract brewer, there are some Belgian Blond recipe kits out there. You can also look for an extract made from continental pilsner malt. I know it’s not too hard to find a German pilsner extract. Belgian pilsner extract, on the other hand, may be a pipe dream here in the states. To this, you would add your adjunct sugar during the boil. 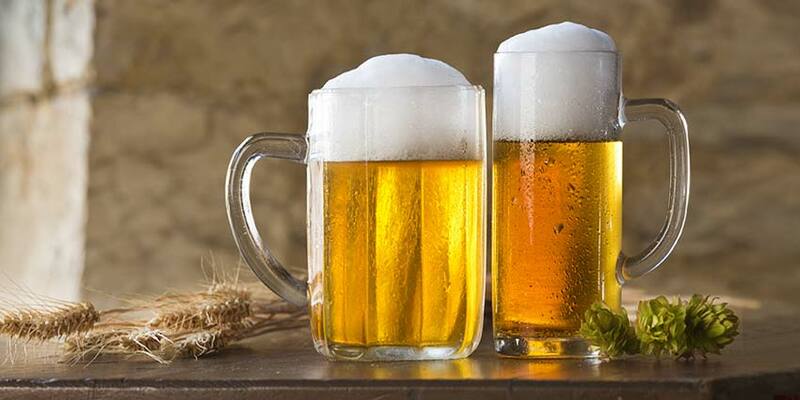 You could also mini-mash or steep some specialty malt for added complexity, but adhere to the above guidelines when it comes to specialty and adjunct grains. Low notes of floral, earthy, and/or spicy with medium to low bitterness are common to the style. When choosing your variety stay away from those hops with too much fruity character and lean more to the earthy/herbal side. Noble hops are great choice for this style. Noble Hops: Tettenag Tettenager, Hallertau Mittelfrüh, Saaz, Spalt. Other Varieties: Styrian Golding, Mount Hood, Liberty, Brewer’s Gold, Santiam, Strisselspalt, East Kent Goldings. Late hop additions are not required for this style and a single bittering addition works just fine. If you want a little more aroma, you may be able to get away with a small addition right at the end of boil without creating a beer outside the style (this of course is only relevant if you’re trying to stay within the Belgian Blond style guidelines). But remember, this style showcases the grainy/bready pilsner malt coupled with Belgian yeast. It’s not really about the hop flavors or aromas. Keep in mind that the higher carbonation of this style and possible higher alcohol will increase the perception of bitterness. Shoot for a IBU/OG ratio (bitterness to starting gravity) of between 0.2 and 0.4. The mash can be as straight forward as a single infusion with a saccharification temperature of about 150°F. This temperature is just slightly south of the middle of the brewers’ window (147-158°F), which should provide medium mouthfeel and body, slightly skewed toward a drier finish. There is something to be said for doing a multi-step mash though, especially where Belgian ales are concerned. Doing a protein rest with one or two temperature steps to your final temperature can build a fuller body and give you that pillowy head found on most noted true Belgian examples. If you do decide to go with the single infusion mash, you may want to use some dextrin or carapils malt, or wheat to help with body and head retention. The boil should run between 75 and 90 minutes. S-methylmethionine, a precursor compound of DMS is found in higher quantities when malt is lightly kilned. 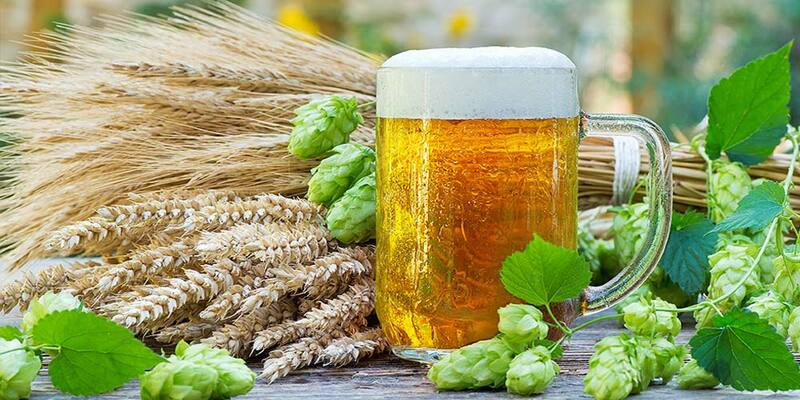 Thus, a higher boil is used, due to the large quantity of pilsner in the recipe, to get rid of this volatile compound. Also, remember you never want to put a lid on your boil and always let it boil vigorously. Add your bittering hop addition 60 minutes before flame-out. Just as in any Belgian style, the yeast is important. Much of what is thought of as “Belgian” in Belgian beers is considered, largely, a work of the yeast. This may not always be as true as you’d think, but there’s no denying yeast plays a part in making these ales what they are. If seeking an organic yeast, Imperial Organic Yeast Company has several Belgian yeasts including B63 Monastic. You can have everything exactly right for a given beer style and ruin all that careful work during fermentation. Whether the yeast ferments and builds the characters you want in the finished beer all comes down to controlling the temperature, pitch rate, and how much you oxygenate your wort. Always remember to oxygenate your wort well after its cooled and you’ve pitched the yeast. Always pitch the right amount of yeast for your style and original gravity. There are online pitch calculators that can help you figure out the pitching rate for a given batch size and gravity. Very general guidelines for the Belgian Blond style are 15 grams of dry yeast (≈1.5 packets at 11grams) or 3 liquid yeast packets without a starter. If you do a starter, you’ll only need one packet to make an appropriate starter. You’ll probably have to experiment over several batches to hit upon the fermentation temperature and pitch rate that equals your preferred characteristics. Higher fermentation temperatures will create more esters and phenols. A good starting place is to pitch slightly cool, in the mid to upper sixties, and let the temperature rise to around 70°F. This temperature climb ensures control of phenol and ester production at the beginning, while the higher temperature helps with attenuation and cleaning up DMS. Attenuation is especially important here, when using adjunct sugars. If all of these sugars are not fermented out, the beer will end up too sweet. After fermentation is complete, transfer your Blond to a keg and carbonate, or if bottling, to a bottling bucket with your priming sugar and bottle as normal. Shoot for a carbonation of 3.0 and 3.5 volumes. With this high volume you may want to look for higher quality bottles, many American bottles are only rated to 2.5 volumes.